On the 15th of July 1907, the Chinese imperial Qing government publicly beheaded a 31-year old woman in her home village of Shanyin, near Shaoxing. It was probably a hot and humid day, which makes her last words more memorable. 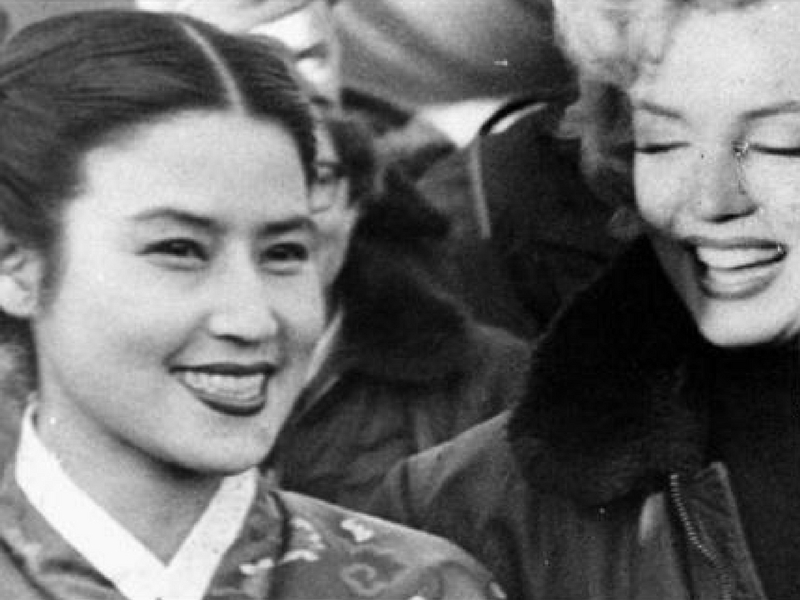 Maybe she lamented that the revolution against the creaking Qing government would fail. She had not confessed under torture, but the writings and documents in her home had incriminated her as a nationalist and feminist revolutionary. With #MeToo on the shores of a China that still throttles the ambition of its women, with feminists hounded by both the government and hate-filled internet trolls, it is worth remembering that more than half a century before Mao’s proclamation that “women hold up half the sky,” there was Qiu Jin. Qiu was born Guijin in 1875 or 1877 in a genteely declining family of gentry in Xiamen, opposite the island of Taiwan. Little Qiu got a good education: reading, writing, histories, poetry, songs—all the classics. From an early age she was inspired by the heroic women of Chinese history, including Mulan (yes, the Mulan you know). She wanted to become a warrior and a writer. She rode horses, practiced with the sword, and wrote prolifically. When she was five, her loving parents also bound her feet, and taught her she would be married off when she came of age. All her childhood she carried the pain of feet and life crippled by patriarchal tradition. At 19 she was married off to the son of a wealthy merchant in Hunan. 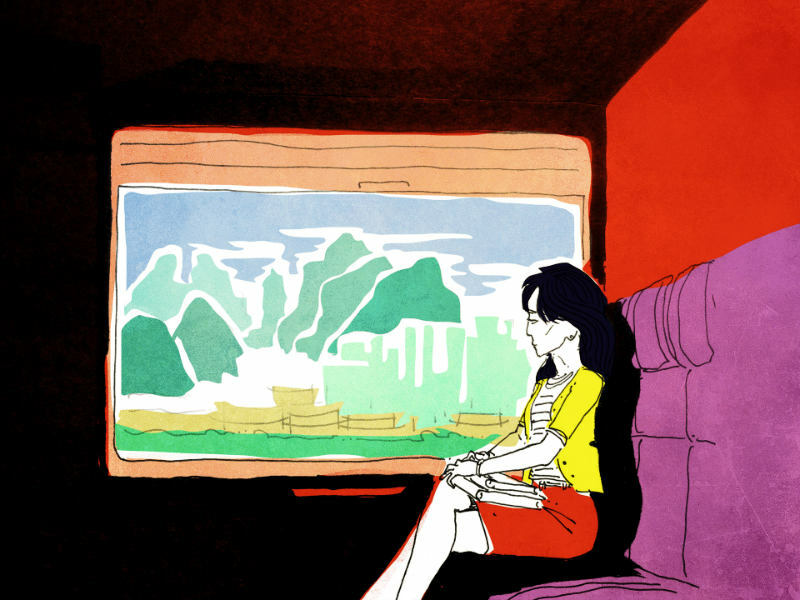 Qiu followed her father’s orders, against her own wishes. Her experience of marriage was terrible. Her self-confidence was shaken and her desire to become a recognized poet waned under the pressure of her conservative and profit-oriented inlaws, and her talentless wastrel husband. Her passionately angry letters home gave voice to her experiences, but she soldiered on; giving birth to a daughter and a son, and, in 1903, moving to Beijing with her husband. The capital was no great improvement. Her husband threw himself into drinking, brothels, gambling, and probably concubines. She discovered other reform-minded women and continued to educate herself until the final straw broke. Her husband decided the family plan for the Mid-autumn Festival was not amusing enough, and went instead to a brothel with his friends. Qiu disguised herself as a man and went out to see a play. When she got home and her husband found out, that paragon of virtue hit her. Qiu left the home and stayed in a hotel. She was not amused and the marriage unraveled. More spirited than a man’s. Never inflamed by other people’s influence. What vulgarian can recognize me? Heroes in despair endure suffering. 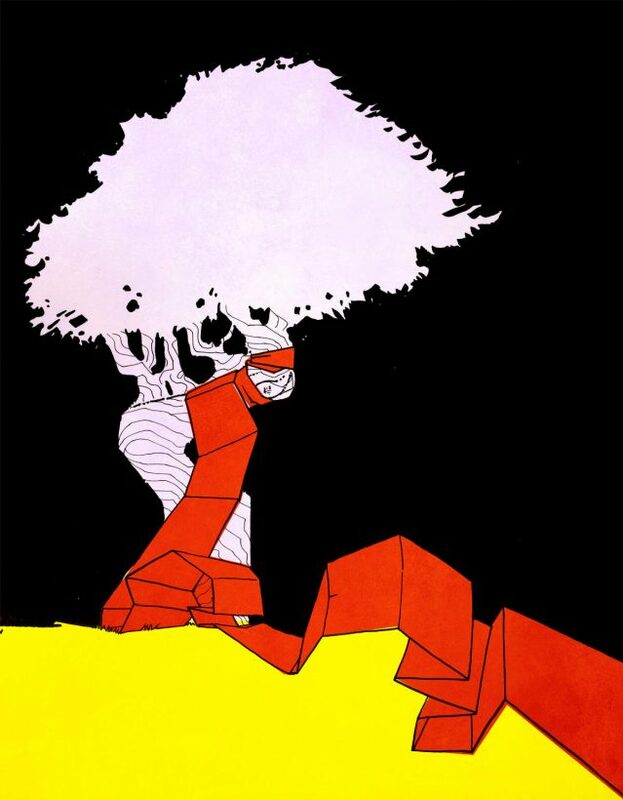 Where in the vast red dust can I seek a true friend? Qiu unbound her feet, drank wine, experimented with cross-dressing, and swordplay, abandoning the conventional female roles. With her behaviour she dramatically exposed the lack of opportunities for women as women. 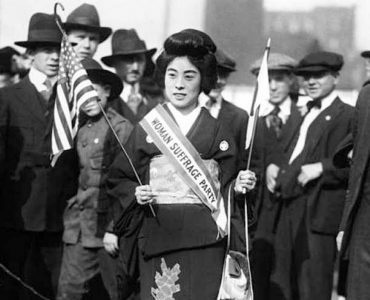 Soon, in 1904, she left her husband and children, sold all her jewelry, and sailed for Japan. 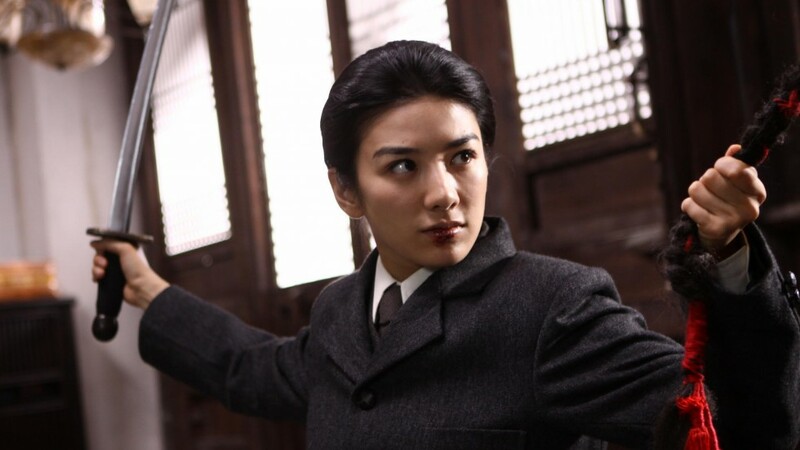 There she changed her name from Qiu Guijin to Qiu Jin (removing the character “gui”, which means “boudoir”, a daughter’s or woman’s inner space), and enrolled in Shimodo Utako’s Women’s Practical School. Finally free, Qiu unleashed all her pent-up energy in a burst of activity and writing. She quickly connected with other Chinese students keen on revolutionary change in China, and joined the Restoration Society and Sun Yat-sen’s Revolutionary Alliance … you might know these organizations as the triads. They were a bit more complicated than the oriental mafias of Hollywood. 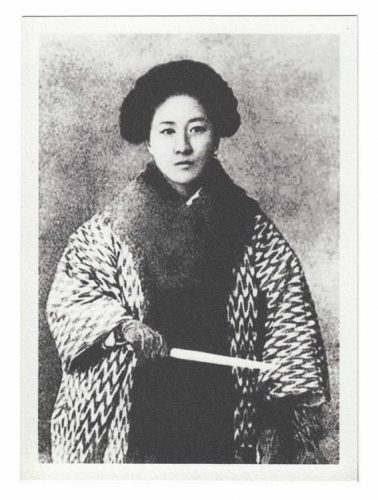 In quick succession, Qiu edited two journals: the Vernacular Journal (Baihua Bao) in Tokyo, and, after her 1906 return, the Chinese Women’s Journal (Zhongguo Nubao) in Shanghai. She wrote a fiery manifesto titled “Respectful Proclamation to China’s 200 Million Women Comrades”, which delivered a scathing critique of foot-binding and oppressive arranged marriages, and worked hard to spread a message of national and, especially, women’s liberation. In the Women’s Journal, she encouraged women to train for work in professional jobs and become financially independent. In China she worked tirelessly to advance women’s causes and topple the Qing, and in early 1907 she became the principal of the Shaoxing Datong Sports Teachers School. Ostensibly a school for physical education teachers, the school actually trained military leaders for the revolution. Yep, Ms. Qiu Jin was training military leaders. She worked closely with her cousin, Xu Xilin, to unify the various revolutionary groups. Alas, it was not to be. Xu was betrayed by a fellow rebel, interrogated, tortured to a confession and executed. Qiu knew the imperial soldiers would be coming for her and refused to flee. Instead, she composed her death poem and composed herself to face the guns and swords of the ancien regime. 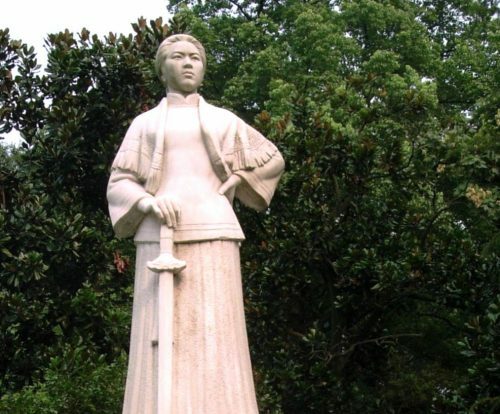 A monument to her now stands beside West Lake (Xī Hú) in Hangzhou, an example to others to try to win glory for women. 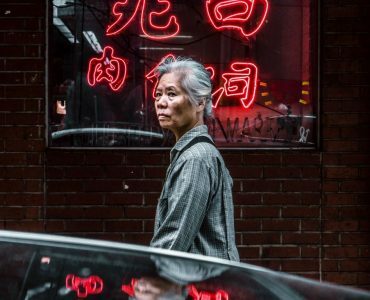 Recently, the New York Times published a belated obituary for her, but Qiu Jin deserves more than just an obituary. This badass poet daughter warrior mother teacher deserves to be an inspiration to us today. 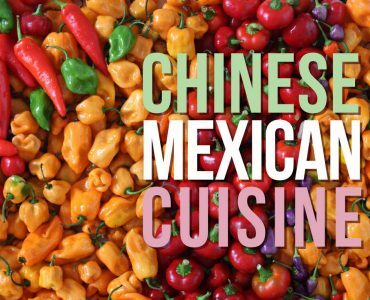 Chinese Americans are targeted by the administration. Again.